Featuring an intentionally faded and over-dyed look, the Vintage Floral Rug gives a newer space a sense of history and character. Featuring an intentionally faded and overdyed look, the Vintage Floral Rug gives a newer space a sense of history and character. 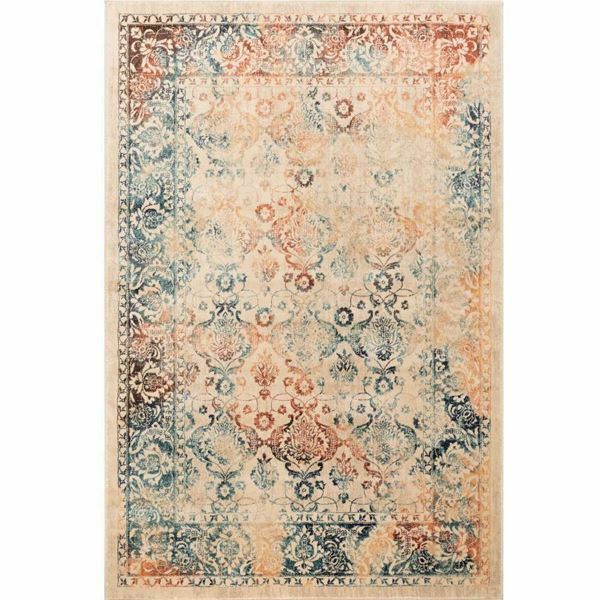 This multi colored and jewel-toned rug can look casually elegant or just plain casual, and will give any room a modern, lived-in look. It will infuse your space with a touch of vintage-inspired character while protecting your floors and offering a soft landing spot for feet.